Toastmasters Speeches: Mentoring: When Does It End? At a recent club meeting, I gave an educational talk, and this was on Mentoring. Mentoring is one of the modules of the Successful Club Series. Everyone in the audience had a fair grasp of the value of mentoring. In one of my final slides, the title read, "A Finite Relationship", even emphasizing it with the statement "It should not last forever". And to that, I asked the audience, "So, when does mentoring end?" Someone volunteered, "One year!" Another said, "one month!" So, when is it, really? Toastmasters International suggests a mentoring rule-of-thumb of three speeches and that both mentor and mentee be committed for at least 6 months. And that applies to mentees who are either new members or experienced members. I'm taking the TI's suggestion as a general guideline, although in some cases, mentees don't even take three speeches and they're ready. Some take longer, and some return only for consultations. But when is the mentee ready? Maybe the best indicator is when, in a bittersweet way, the mentee doesn't need the mentor anymore. There is one favorite metaphor of mine when it comes to ending a mentor-mentee relationship in Toastmasters. 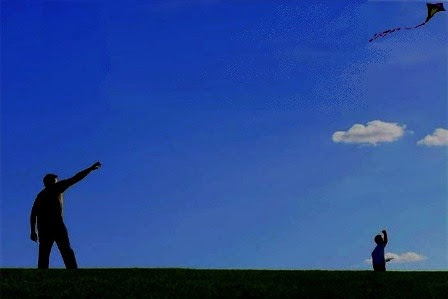 And the metaphor is that of a Dad (mentor) teaching his Son (mentee) to fly a kite. To get the kite up in the air, the dad instructs the son to hold the string at one end. On the other end is the kite. The dad walks to the other end to hold up the kite. 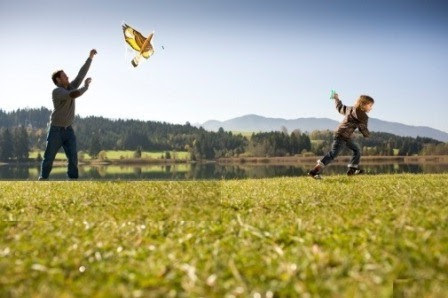 The dad tells the boy that he will throw the kite up in the air, but it is up to the boy to pull the string and run with it. An updraft of wind comes and the dad hoists the kite into the air. He shouts, "Pull the string, son, and run!" The boy runs taking the kite with him as it rises up. As the boy runs, so does the dad. The kite becomes airborne and the dad continues to give instructions. There may be times when the wind would slow down and the kite slightly veering downward. But with much maneuvering of the string, the boy, with his dad's guidance and support, is able to put it back on course. Soon the wind picks up and the dad slowly releases the string, yet asking the boy to never let go. As the dad slowly releases and extends the string several inches at a time, the boy's kite goes up. The son is now able to hold and maneuver the kite on his own. The dad slowly releases the string several feet more so the kite even goes higher. After a few more minutes of extending the string, the dad steps back. He tells the boy to maintain a good grip as the the kite's pull becomes a bit heavier although more stable now at its lofty height. The son finally holds and flies the kite all by himself. With so much excitement, he maneuvers it so the kite soars and dances up in the air as he wishes. Towards the end of the day, the boy is still flying his kite. Exhausted yet thrilled, the son calls out at his dad, "We did it, Dad! We did it!" And the dad, now admiring his son's accomplishment from a distance, smiles and whispers to himself, "No, son. YOU did it."